enthink: Taxonomy Manager - Open Text Web Solutions Usergroup e.V. 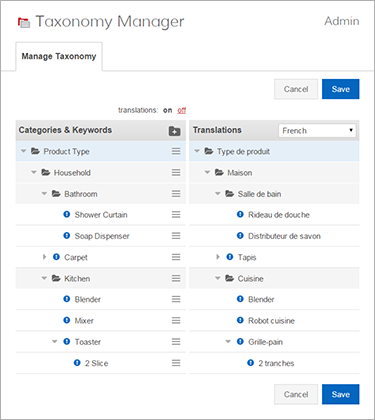 With Taxonomy Manager, unlock the power of your information within your OpenText Web Site Management solution (formerly RedDot) simply by applying metadata from your taxonomies or other controlled vocabularies. 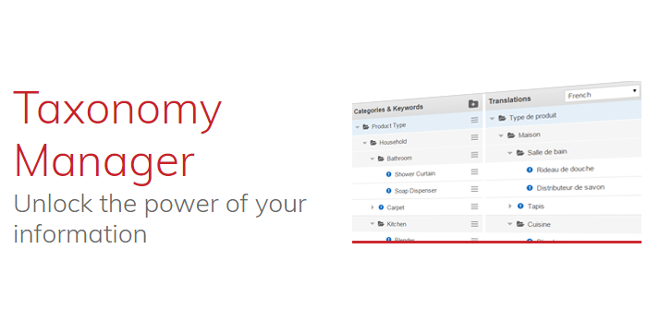 By providing an easy and effective way to tag your content, this product allows your organization’s knowledge to be packaged in a more consumable way. 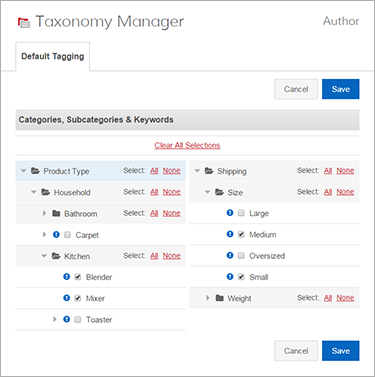 To watch a demo of Taxonomy Manager, please login to your Resource Center account. If you don't have an account, please register for an Enthink account today.